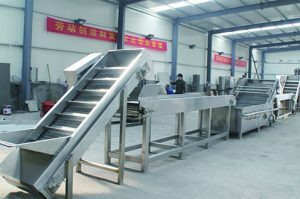 Home/News/How to choose the juice beverage production line? Juice beverage equipment is the device used to make all kinds of drinks, such as fruit elevator, fruit sorting machine, brush and spray fruit cleaning machine, surfing type fruit washing machine, fruit peeling and extracting machine, fruit pulping machine and so on. Now, fruit juice beverage production line machinery enterprises are also increasing, every enterprise has many juice beverage equipment. When buying juice beverage production line or orange juice processing line, customers will also have many factors to consider. High cost performance is the first principle. TICO can provide you with superior suitable juice beverage production line. You need to know what kind of fruit do you need to fill? Because different fruit drinks are suitable for different filling equipments. Some manufacturers have a wide range of fruit juice beverage products, but they want to a filling equipment for filling all the varieties of fruit juice beverage products when buying a fruit juice beverage production line. In fact, the filling effect of the special machine is better than that of the compatible machine. This is only a reference, you can coordinate with the manufacturer of juice beverage production line. In addition, the price is also not the same when filling range is different. If the filling range is relatively large, different products should be separated for filling in different machines as far as possible. If you do a on-the-spot investigation, the important aspects should be noted and small details need more attentions. The details usually determine the quality of the machine. You can test the machine by using your own sample as far as possible. 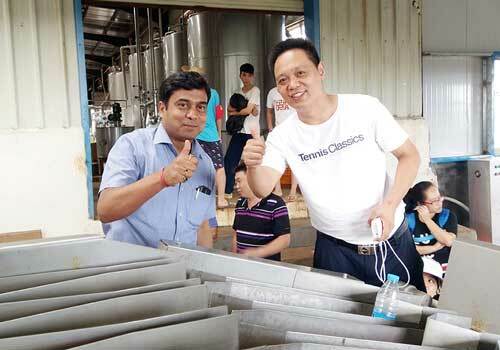 You’d better to choose a famous brand beverage production line enterprise, the quality is assured. Such as TICO. Choosing the model with mature technology and stable quality, which has faster and more stable production processing, low energy consumption, lower manual and low waste rate. Juice beverage production line is a consumable machine. If buying low quality machines, you will waste a large amount of packaging film in the process of daily production. The enterprise should have perfect after-sales service and a good reputation in industry. Timely after-sales service, especially for food processing enterprises, is particularly important. Such as beverage enterprises, summer is the season of production. If the machine has a problem in the process of production and can not be solved immediately, the loss can not be imagined.